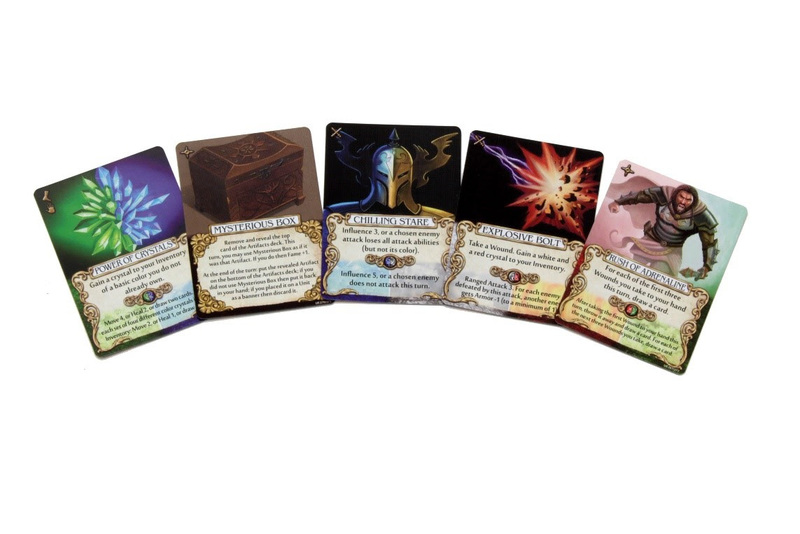 Upgrade Your Adventure with Mage Knight: Dual Color Cards Expansion —Available Now! Home > Hot Toy Reviews > Upgrade Your Adventure with Mage Knight: Dual Color Cards Expansion —Available Now! Hillside, NJ – April 8, 2019 – WizKids is pleased to announce the release of Mage Knight: Dual Color Cards Expansion! Each of these cards allow you to spend either type of mana shown on the card in order to play them or activate their stronger effect. They also count as both colors for certain effects. The fifth card is a new artifact, the Mysterious Box. This exclusive expansion pack will only be available for sale at conventions or in the WizKids Online Store at a price of $4.99. Prepare yourself for a whole new Mage Knight experience with Mage Knight: Dual Color Cards Expansion, available now!